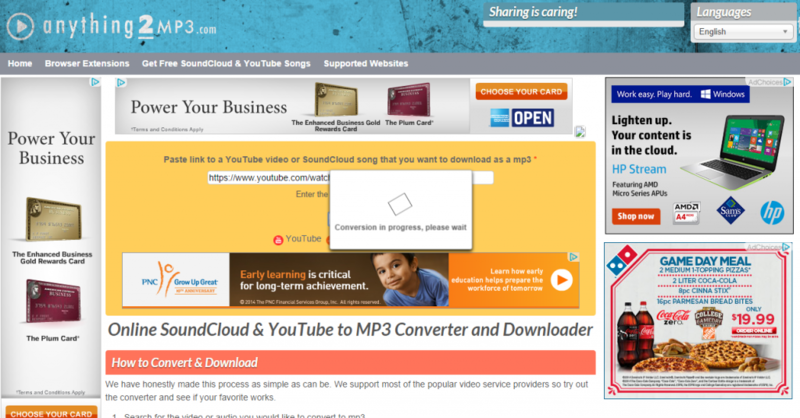 my next review is going to the slick and awesome resource i’ve come across recently – Anything2Mp3.com. 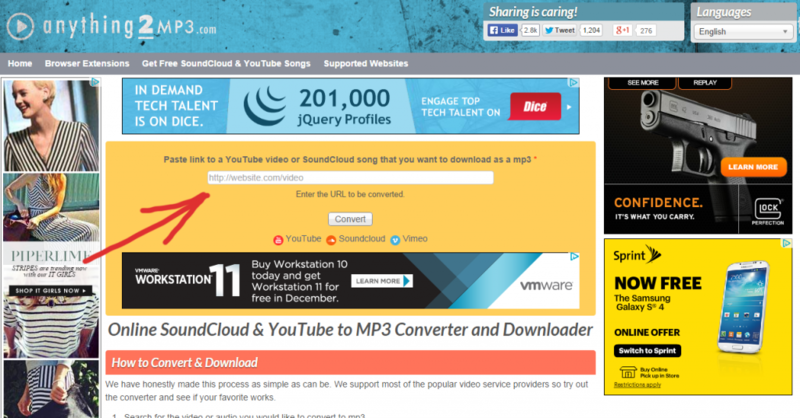 i am planning to look into the works of this site, but i must admit from the start the huge size of the list of “supported sites”, aka sites that Anything2Mp3.com can help you get the music out of. 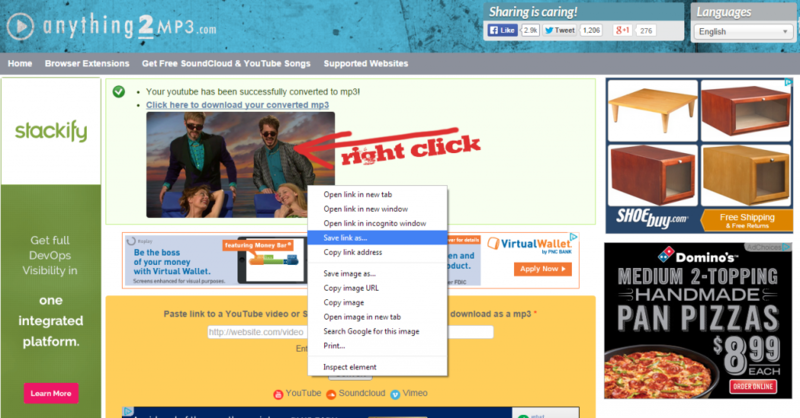 this is a very universal resource to convert video to mp3, or as we sometimes say – extract audio from online video. slow loading for me, maybe it will work faster for you, this is a nice resource for saving video and audio feeds from a vast array of websites for the future use when there’s no internet, or it is limited, so to avoid overusing your monthly internet quota, plan, or whatever you call it – simply use anythign2mp3 or similar services to save the audio and enjoy it any time anywhere, even in the basement of your house. where there might be no internet, or on top of a high-rise, sometimes outages happen high in the air as well. plus, you must remember, streaming a video generally takes 10 times the bandwidth of streaming the audio only.. and in this case you don’t even stream it after 1 time – just play the mp3 on your phone and such. so let’s try to use anything2mp3 for our method calls for it. i enter the video url into the box in the center of yellow box on anything2mp3.com, where the arrow shows right above, and here’s what i get – a screen where there’s some kind of spinning square to make me patiently wait for the completion of the video conversion. and finally i see the screen where i can right-click on the image or link, to download the song or whatever music you’re getting. select “save as” or similar option from the menu you get on right click. and enjoy! if video was rather short, or normal, 5-10 minutes, – you’ll get a nice mp3 of good v0-v1 bitrate quality, download is quite instant, very fast, but it does fly,… here’s a screenshot on me saving the file, about to save it, actually..
and without further waiting i get the 3.5mb mp3, good quality, good service and resource. it will only produce mp3s of certain birtates, so there’s not much to choose from, and these days noone wants to see these heavy-hitter sites with many options and different their combinations, and all you get is same video or audio, just a tad different.. well i say this is the way – just give it the link, and hope it works for it fine. the site is weirdly slow, maybe due to cloudflare they are using, on the other hand it’s a slick idea, i see it’s using youtube-dl, since author has published the list of supported sites as if it was copied off the program’s support pages, but anyways, this has opened my eyes, and i am ready for my own adventure in this field… =) thanks!! also, try not to use this service for larger videos – it may end poorly for both you and the resource.. probably this is best to use for short 5-15 minute videos, and go to more stable resources for bigger videos. timeout delay here is too short, i think, not enough to copy the video in full.